The beginning guitarist will find a great variation of advice and tips regarding what instrument to choose to begin his musical endeavor. Commonly, the acoustic guitar vs electric debate is always a top issue. Trying to settle the debate between acoustic vs electric can involve weighing a lot of different factors. However, before listing all the obvious things to consider before investing in any guitar such as price, portability, and so forth, let me start with two primary factors that should first be considered before making a choice between the acoustic guitar and the electric guitar. First, ask yourself what type or style of music do you predominantly want to play? If you prefer rock music, determining between an electric guitar and acoustic should be quite simple. An acoustic guitar cannot produce the type of sound desired for this type of music. This is, among other things, what the electric guitar is designed for. To keep it simple, guitar players typically like to play or reproduce the sounds of the music they most enjoy listening to. So, make a choice accordingly. A second and probably more important factor to consider when trying to decide which instrument is best to learn on is “How much versatility in your playing abilities do you want to acquire?” You’ve probably never been asked this question but I believe it is probably the most important question that can resolve the acoustic vs electric debate quite easily depending on what your goals are. If you want versatility in the type and style of music you want to play, it is no longer a question of electric versus acoustic because you will most definitely want to learn on the acoustic guitar. Or, better yet, learn both instruments simultaneously. This is not as difficult as you may at first think because many of the techniques you will be learning on the electric guitar can be applied to the acoustic guitar and vice versa. If cost is a factor (you will need to purchase an acoustic and an electric guitar as well as the accessories needed for amplification of the electric guitar), than I would highly recommend learning on an acoustic guitar if you are considering versatility as a primary factor. What exactly is meant by versatility is that if you wish to play a broad range of music, you do not want to limit your skill development to only the left hand, a problem inherent of many electric guitarists. To be able to reproduce a wide variety of music on the guitar requires you to develop both your right and left hand techniques. Simply put, right hand skill development goes far beyond just holding a guitar pick and “flat picking”, a practice common to the electric guitarist. Learning how to fingerpick with the right hand, in my opinion, is the key to really mastering the guitar. Flexibility (or versatility) is the main reason for recommending the acoustic guitar to the beginner because it allows you more of an opportunity to develop both hands. For some, such as myself, this is extremely important because right hand development of fingerpicking techniques opens up various arrangements of music you otherwise would never be able to play. Assuming you are right handed, most right-handed guitar players will use the left hand to produce the individual notes or chord formations on the fretboard of the guitar. Both the acoustic and electric guitar allow you to develop this skill. The right hand is used to produce the sound by plucking the string with either a guitar pick or using a finger picking technique. Learning finger picking techniques with the right hand is where the advantage of the acoustic guitar for the beginner lies. The reason for this advantage is that where versatility is concerned, the electric guitar inhibits right hand development by nature of its design, usually due to a narrower neck that causes the width between the guitar strings to be narrower. This in turn causes less room for string picking by the right hand. Because of its design, the electric guitarist invariably always uses a pick with the right hand whereas the acoustic guitarist can (and should) alternately use a finger picking style of play as well. Again, by learning on an acoustic guitar, it allows you an opportunity to develop your skills in relation to your right hand far beyond that of an electric guitar. 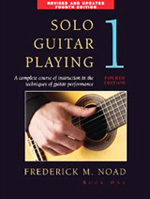 In other words, though both instruments develop the guitarist’s left hand, by first learning on the acoustic guitar you will be developing your left hand AND right hand techniques simultaneously. While this might at first be slightly more difficult for the beginning guitarist, the rewards will far outweigh the task. Just to reiterate, great versatility in your playing style is achieved through the development of both your right and left hand. This opens the door to the acoustic classical guitar, which the classical guitarist invariably always uses the finger picking technique as opposed to a pick. Often times, the beginning guitarist finds that it is harder to learn to play a steel string acoustic than an electric because it takes more finger strength to depress the string or form chords. In this respect, it may be easier to begin on the electric guitar. Also, playing lead guitar and riffs are quicker and easier on the electric. Of course, electrics are built for speed, so naturally riffs and chord transitions are much easier to play than on the acoustic. Electrics are also capable of creating a tremendous variety of sounds due to the myriad of electronics available. Again, it all comes down to the type and style of music you want to learn and play. The resonance of an acoustic is better, though, than the electric. The natural, rich sound that resonates from a quality acoustic guitar is, in my opinion, incomparable. In addition, the portability and convenience of the acoustic versus electric is another consideration. No power source, amplifiers, cords, microphones or other equipment is necessary. All in all, the electric guitar has a distinctly different sound than acoustic. Though there are advantages and disadvantages in choosing one over the other, the sound you wish to create and the style of music you wish to play (remember, you’re limited unless you develop your right hand) should dominate above all other considerations when deciding between the acoustic and electric guitar. It’s a tough choice for the beginner player, but if it’s possible, I recommend learning on both!